Perfect for new builds and major refurbishments, our discreet integral finger guard offers complete safety and unrivalled durability. Once installed, Alumax will last the lifetime of the door, removing the need for replacements. This can save £500-£1,000 over the door’s life, compared to plastic finger guards. We chose aluminium because it’s easy to clean. So it’s perfect for keeping restaurant toilets safe and hygienic. 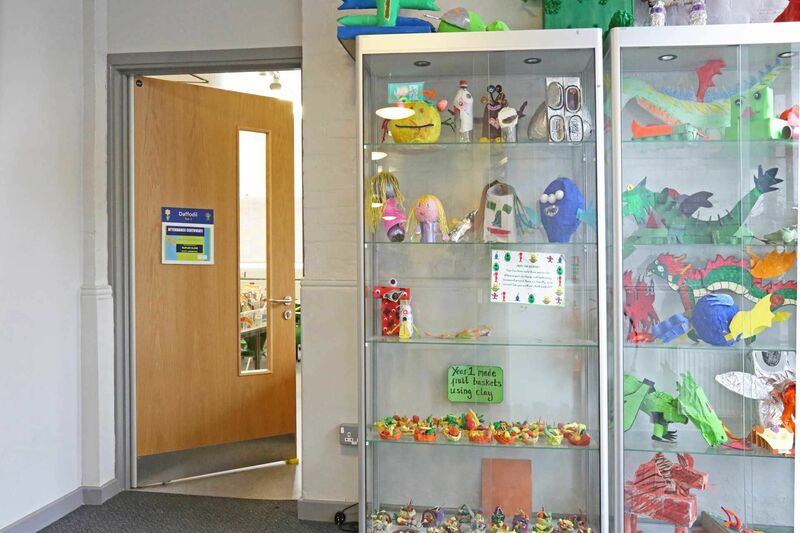 Plus it's durable enough for SEN schools and leisure centres. 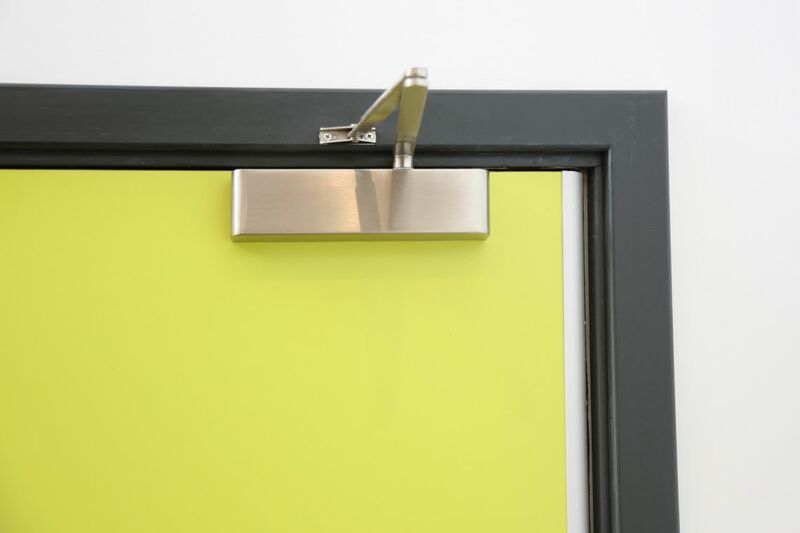 It reduces the risk of trapped fingers by removing the dangerous gap between door and frame. The clever design means there’s less opportunity for wandering fingers to become trapped. The concentric curved profile and pivot point of our integral finger guard mean the frame sits almost at a tangent to the door. This allows it to open and close without the edge moving relative to the frame – creating a constant 2mm finger-safe gap. 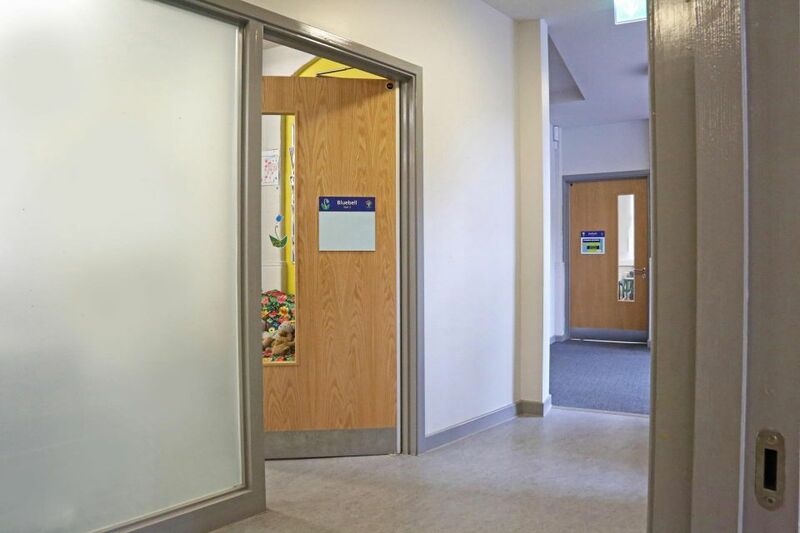 Available in a range of finishes, including timber finish and RAL colour, it’s almost invisible to the eye and fits seamlessly into any environment. 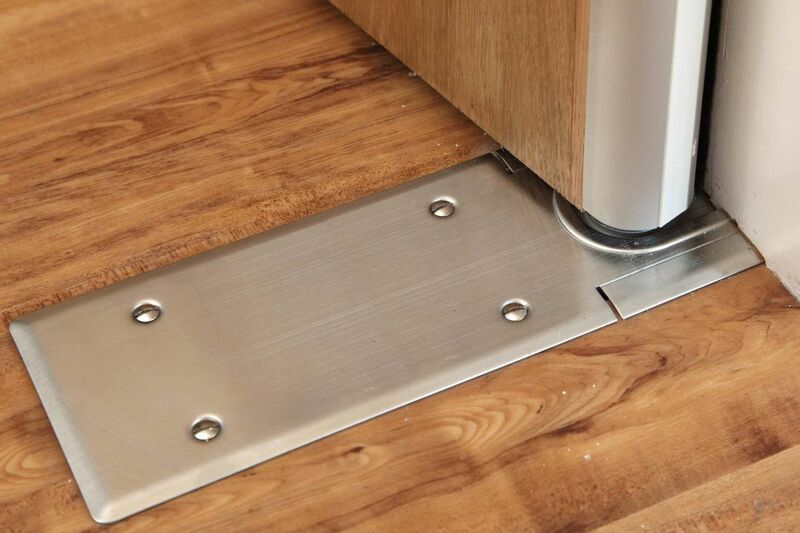 The pivot hinge means it can be easily adjusted on site. This adjustability is both vertical and lateral, so you can set both desired floor clearance and fine-tune the finger-safe gap. As the first attempt at finger safety, plastic guards covered the gap between the door and frame. In some situations, like the home, they’re safe and do the job. However, in high traffic areas, like schools, hospitals, restaurants and retail environments, they’re simply not durable enough. Although cheap, plastic finger guards aren’t built to last. 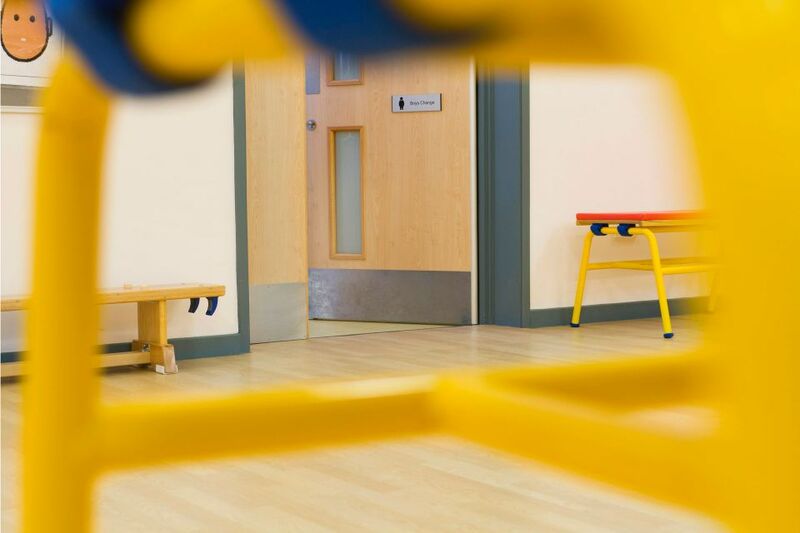 Typically, after between six months and two years of normal use in schools, GPs, restaurants or swimming pools, they split and need replacing. And once broken, the original danger is exposed, putting fingers at risk. The real cost of a plastic finger guard is anything but cheap. 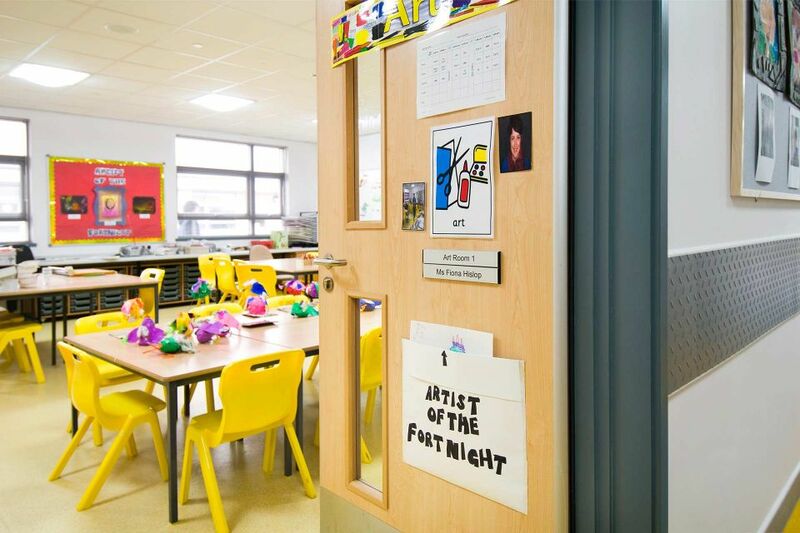 Taken over the typical 25-year lifespan of a school, replacing them costs between £500 and £1,000 per door, making them the most expensive option. Plastic guards can be unsightly and rarely blend in with the environment. 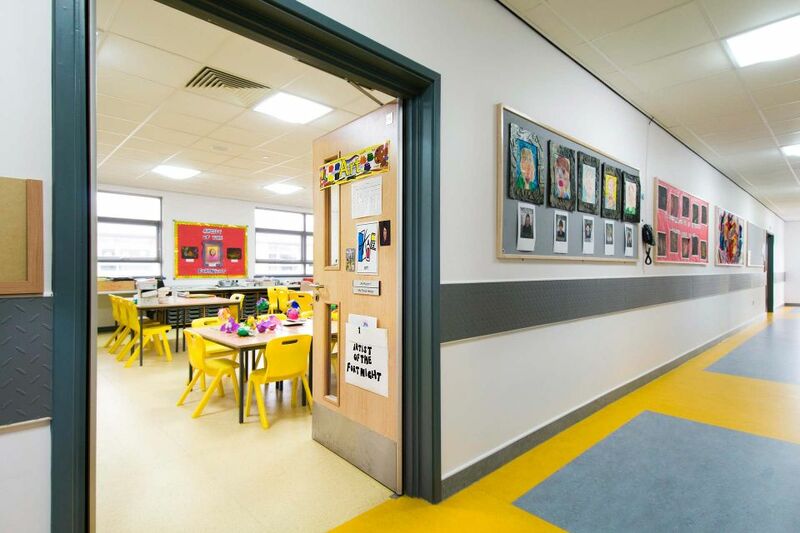 If the interior finish and doors have been carefully planned – perhaps in colourful laminate or attractive veneer – the finger guard should be just as aesthetically pleasing. The single roller blind uses fabric tension to resist fingers pushing into the gap. 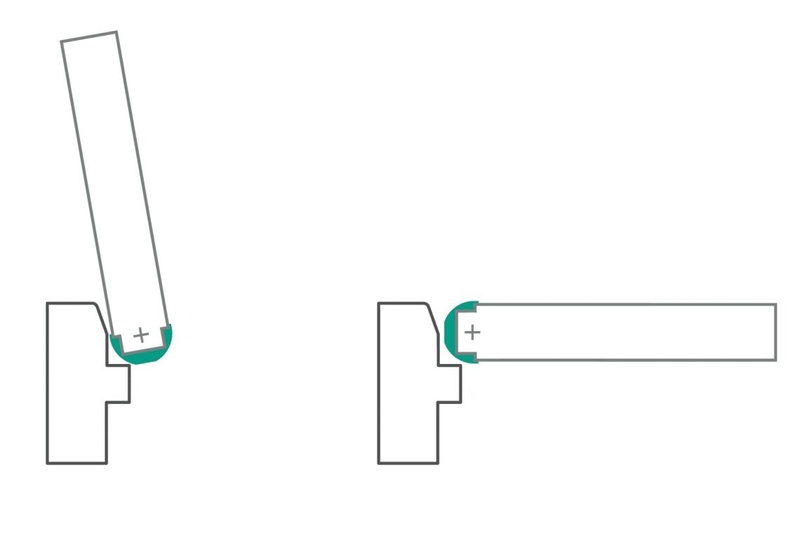 And when you consider the cost of hinges, the roller blind finger guard, and the fitting, the cost is similar to our integral finger guard – which designs out the problem, offering superior safety and aesthetics. Unlike our clever designs, roller blind finger guards use fabric tension to create resistance and prevent trapped fingers. This is mostly effective but it’s not foolproof. 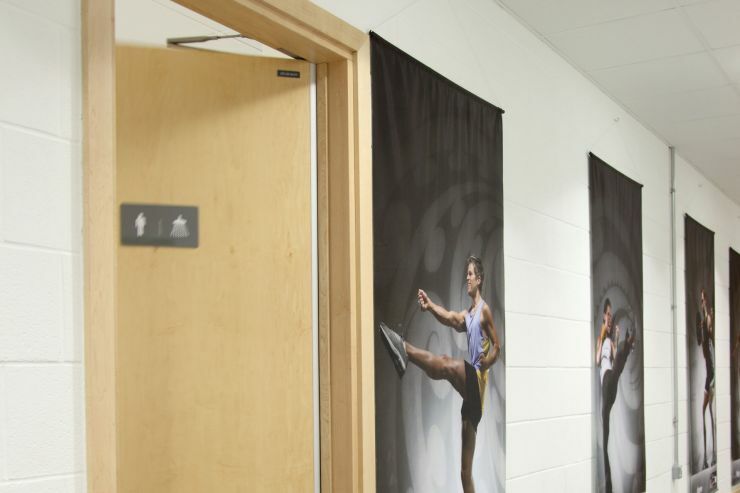 The fabric tension resistance can make it challenging to comply with Approved Document M and BS 8300 (Opening Force for a Door). Roller blinds cost around the same as our Alumax integral finger guard — yet compromise on aesthetics. And if cost is an issue, our retrofit finger guard makes the perfect alternative. It’s durable and doesn’t impact the opening force. Flexible rubber hinge covers were developed to address the durability issues of plastic finger guards. Hard wearing and tough, they cover the complete gap, however fingers can still become trapped. Rubber guards merely cover the gap between the door and frame. The rubber cover is rarely taut enough to prevent the guard being pushed into the hinge gap. This leaves open the possibility of fingers wandering into the gap and being trapped in a closing door. Concertina-like rubber hinge covers are made from a material not usually used on doors. Even in the closed position, customers comment they’re eyecatching and impact the overall aesthetic. The soft rubber surface attracts dust and is hard to clean. The folds also gather grime, which can become a hiding place for bacteria. Our integral finger guard works perfectly with most scissor-arm closers. 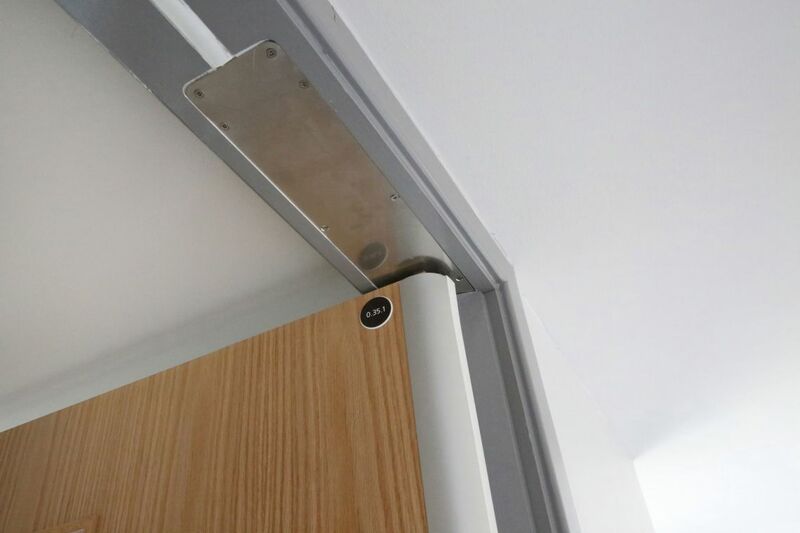 However, to ensure they don’t clash, check where the screw fixings are placed on the door frame. See our technical manual for more details. Cam action closers’ efficiency helps achieve Approved Document M/BS 8300. Plus, there are no protruding parts when the door is closed. The closer can also be fitted with a cushion limiter stay. This small rubber buffer fits into the guide rail and can be used, in some situations, to restrict the door’s opening angle. 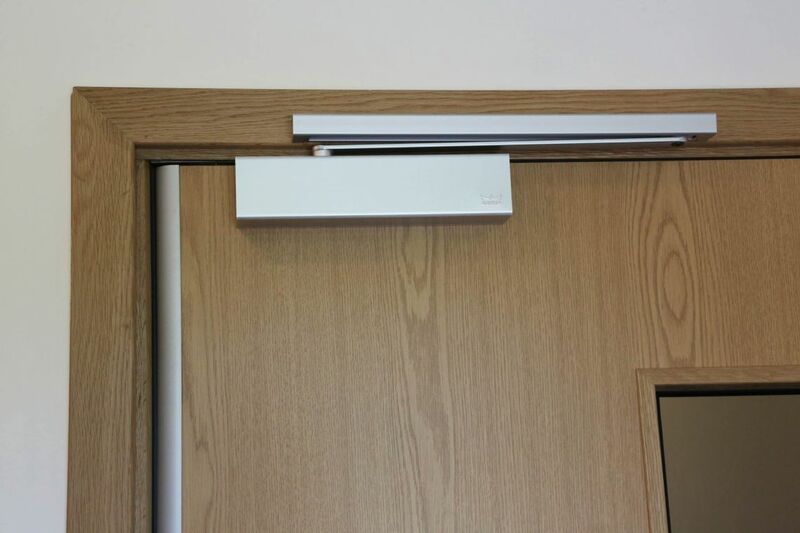 Our overhead concealed door closer is the perfect solution for double-swing 54mm doors. The closer is fitted in the frame head, eliminating the need for costly floor spring excavations. Plus, it’s tough, safe and easy to install, as well as having a back check internal brake to prevent damage from misuse. With the EMAG hold-open option, it can be linked to the fire alarm to ensure fire compartmentalisation. We’re pleased to supply a special kit with a bottom strap compatible for floor springs. Floor springs themselves are available from a number of manufacturers. Please check compatibility in our technical manual before specification. Our integral finger guard has a maximum opening angle of 110°. However, we strongly recommend that you restrict this to 100° to prevent the door binding against the door frame. Floor or wall mounted door stops can be used in most cases, or an overhead closer fitted with a cushion limiter stay. This small rubber buffer fits into the guide rail and can be used, in some situations, to restrict the door’s opening angle. 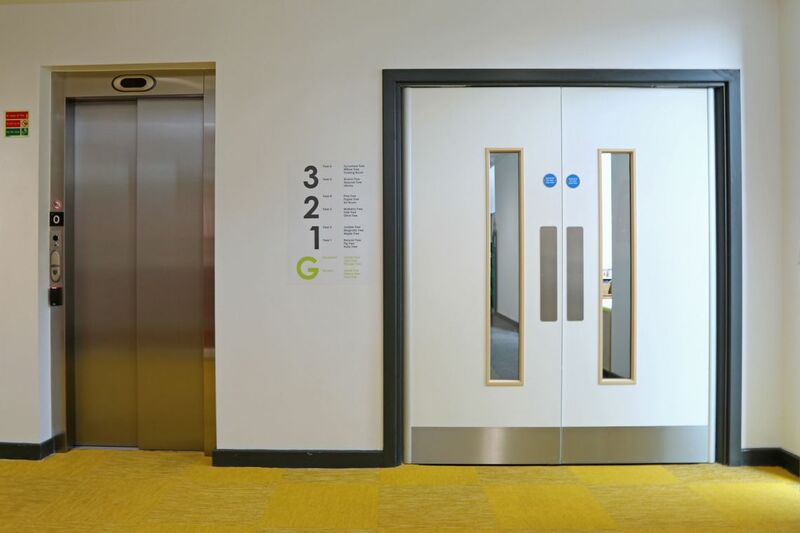 Alumax can achieve acoustic rating up to 32dB on 44mm and 38dB on 54mm doors. Standard smoke seals can be used around the perimeter. At the threshold, the options are a mechanical drop seal, surface mounted, or a concealed fixed seal, with a raised threshold. See technical manual for details. Both options are available, although we recommend L-brackets. Fixed into the frame and floor, they help spread the load of the door, helpful if you’re working with a floating screed construction. 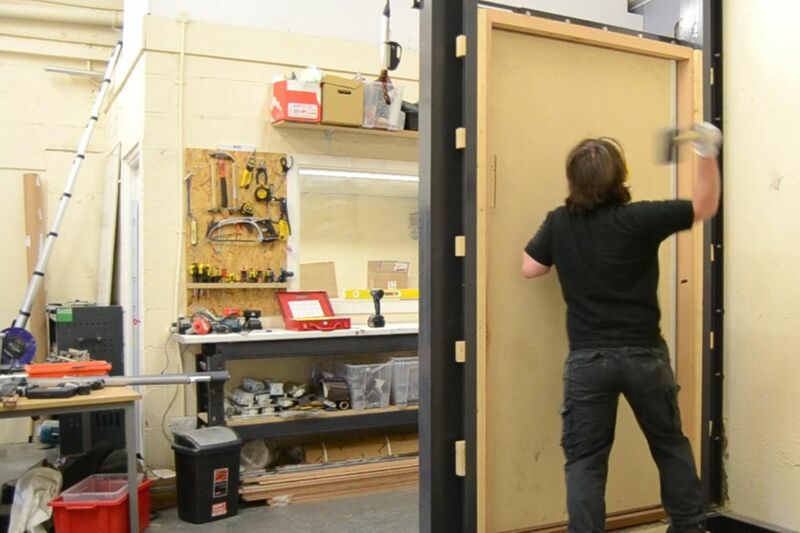 It also ensures the bottom pivot point is placed correctly relative to the door frame. Copy and paste the descriptions for the relevant ALU30 and ALU60 kits into your project documentation. Fire Test evidence is available for Alumax. Please get in touch for further details.